Our 2014 students have been flying high this year, securing secondments, overseas experience, and contracts with companies. Michael Ramsay and James Wasmer (pictured), had secured jobs barely half way through their third year at the School. Michael (in the air) is joining Australian Dance Theatre, and James Black Grace Dance Company. Other third year students have been overseas to gain experience. Kaena Ahern attended the prestigious Ballet School at Jacobs Pillow in the US and Demi Jo Manalo performed in Java Dance company’s ‘Back of the Bus’ at Edinburgh Festival. James Wasmer also toured to Edinburgh to perform with Black Grace. Two third year students are currently at Anne Teresa De Keersmaeker’s P.A.R.T.S Summer School in Belgium and another at the Nederlands Dans Theater Summer Intensive. Earlier in the year Tynan Wood joined Sydney Dance Company working with Rafael Bonachela in the lead-up to their season of ‘Interplay’. A secondment with the Royal New Zealand Ballet provided touring experience for Jarrah McArthur with this year’s production of ‘Coppélia’. Four other classical students, Yayoi Matches, Elizabeth Zorino, Kaena Ahern and Shi Yue will also join the company for rehearsals of ‘A Christmas Carol’ in October. 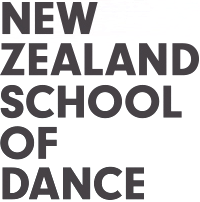 Contemporary students have spent time this year with Australian Dance Theatre, Daniel Jaber & Dancers, Footnote, Expressions, The New Zealand Dance Company, Lucy Guerin, Dancenorth, Ross McCormack and Chunky Move. Students will be going on secondment soon with Bangarra, Atamira and Sue Healey, and our first year students will begin rehearsals for the World of Wearable Art Awards Show in September. Industry experience continuing to provide a valuable component of the NZSD’s full-time course.